Happy to be a part of the Australian Commonwealth Games team in 2006. Photo: Mathew Hayman Twitter. My first impression upon meeting Mathew Hayman many years ago was his height. At 1.90 metres, he is tall for a professional cyclist. The other thing I quickly discovered about Mathew is that he is a thoroughly decent person. That decency, that selfless approach, has been present throughout his 20-year pro-cycling career; a career that has now come to an end. The conclusion to his cycling career provides an opportunity to reflect upon his many highlights, which began as a ten-year-old, when Mathew entered a Canberra Cycling Club event out at Uriarra. His determination and love of the sport would have been evident, even then. As a schoolboy, Mathew would race the bus to Woden, clearly not recommended training for a future professional cyclist. History now shows that Mathew went on to win gold in the men’s road race at the 2006 Commonwealth Games in Melbourne. He competed in the Tour de France four times, and made 15 appearances at the World Titles. But I’ve left the best until last. 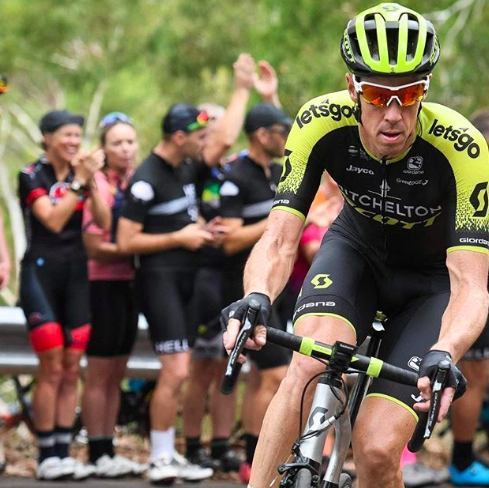 Mathew Hayman in action as part of the Mitchelton Scott team. Photo: Mathew Hayman Twitter. His victory in the 2016 Paris-Roubaix race will go down in history as one of the greatest performances by an Australian cyclist. Ten days shy of his 38th birthday, Mathew took on the famous cobblestones after many previous attempts. On this particular day, he was dropped by the leaders a number of times. To use a well-worn but apt expression, he was “gone for all money” before seemingly rising to challenge the leaders time and time again. After almost six hours in the saddle, his body and bike shaken beyond comprehension, he stirred for one last challenge. If you were watching on the day, it appeared to happen in slow motion. With his final challenge, he held on to win. This feat was all the more amazing, as six weeks prior to this ultimate test in cycling survival, Mathew suffered a broken arm. He was so exhausted he could hardly lift the 20-kilogram-plus trophy, a chunk of cobblestone on a polished stone plinth. Speaking to him when he returned to Canberra for a training camp, he commented about the troubles he had transporting the trophy given its weight. It now serves as a reminder of that incredible moment in 2016. Now at 40 years of age, he has ridden a bike as a professional for the final time. The focus now will be on family: Wife Kym, and three kids Harper, Noah, and Elodie. 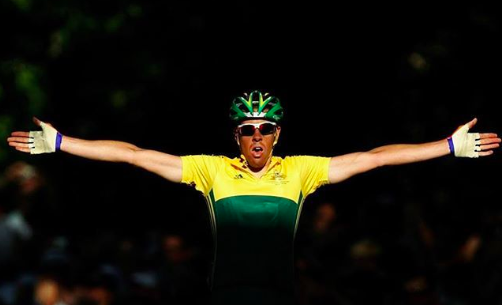 Mathew Hayman leaves a legacy for all young cyclists that follow. But thankfully he won’t be lost to the sport as he moves into special projects with Mitchelton Scott. I’m sure he’ll apply his selfless approach to this next stage of his life as he has done in the saddle.